As a motorcycle rider you know that you have to keep yourself safe on the road, or you may suffer serious injuries that will not be simple or easy to recover from. For motorcycle riders throughout the state, injuries that come from being involved in a motorcycle collision (such as degloving and road rash) are the most serious and often lead to lifelong consequences that cannot be reversed. Motorcycles do not have the same protections for riders as cars do for drivers and passengers. A motorcycle rider does not have a safety belt to hold them into their vehicle, and in reality, this type of restraint would pose an even greater risk for motorcycle riders who are involved in an accident. For motorcycle riders who are not killed in the crash, the injuries are often severe and can leave them without the ability to take care of themselves or to hold down a job. According to statistics, motorcycle riders are more than 20 times more likely than other motorists to die in the collisions that they are involved in. While motorcycle riders and motorists should always be aware of the risks involved in riding, driving, and being involved in a collision, this doesn't mean that a motorist who causes a collision is any less at fault for the crash, or that they shouldn't be held responsible for the actions they took that led to the incident. Unfortunately, for many motorcycle riders who are involved in an accident, simply calling the insurance company will not be enough to help them get the compensation that they deserve for the injuries they have sustained, and the damages that have been caused to their lives and their property. This is where a strong, experienced personal injury attorney can help - whether the case needs mediation or must go through litigation, the right Phoenix motorcyclist injury attorney can help you get the compensation you deserve so you can take care of yourself, make it through your recovery, and live your life. What Types of Injuries are Most Common for Motorcycle Riders in Accidents? Accident injuries for motorcycle riders can vary greatly depending on the type of accident in which you are involved, the severity of the collision, and whether you were thrown from your motorcycle. In all cases, the most serious injuries in motorcycle accidents come with consequences that may last for weeks, months, years, or even for the rest of your life. Motorcycle riders are especially susceptible to an injury known as a TBI, or traumatic brain injury. Traumatic brain injuries can be limited in scope, or can cause severe and lasting damages to the victim. Some low level traumatic brain injuries may cause mood disorders, insomnia, and other types of cognitive issues. More serious traumatic brain injuries may cause issues with motor skills, inability to perform daily functions like making breakfast or brushing your teeth, coma, or death. Motorcycle riders are also susceptible to spinal cord injuries, which can result in permanent disability, partial disability, or the loss of feeling in some parts of the body, These two types of injuries are the most likely to cause individuals to be unable to hold down a job in the longterm. However, many other types of injuries, such as internal injuries and serious breaks in the arms and legs, may also render a motorcycle crash victim unable to work for months or even years. All types of motorcycle crash injuries can leave victims with chronic pain and lead to extended therapy treatments, both physical and mental distress, and loss of income. This makes it critical for those who have been injured in a crash to not only seek medical help after an accident, but also legal help. How Can a Crash Change Your Life? Although you may read about the sever consequences of a motorcycle accident in terms of injuries, it may be difficult to comprehend how an injury in a crash could substantially change your life in a negative manner. It's never easy to imagine, even after an injury, how your life might change. For those who sustain injuries that are likely to heal over the course of several weeks, months, or a year, there is little major change to their lives, as long as no lasting damage has been done. After that time period of healing is over, as long as there is no chronic pain, they will be able to move on with life and get back to how they were living prior to the accident. This, however, does not mean that your accident is less important or that you do not deserve to be compensated for the injuries that you sustained and the income that you lost as a result of your need to spend time in recovery. A skilled Phoenix personal injury attorney can help you determine whether or not you have a case and will work hard to ensure that you get all the compensation you deserve for your pain and suffering. Loss of ability to take care of yourself, up to and including not being able to get dressed on your own, not being able to cook for yourself, do laundry, get in and out of bed, or do other daily activities, like tying your own shoes. Loss of ability to do the activities you once enjoyed. Many individuals who sustain serious injuries in motorcycle crashes are unable to continue riding a motorcycle or driving a car. In addition, if you were an active individual, you may no longer be able to run, play sports, dance, or enjoy the park with your children or grandchildren. Inability to continue working at the job you had prior to the accident. This is especially true for those who were working in jobs that required sitting or standing for long periods of time, and even moreso for those victims who were working in jobs that require a great deal of physicality. Nurses, doctors, restaurant servers, construction workers, and other highly physical jobs are often out of reach for individuals who sustain a serious injury in a motorcycle collision. Inability to live life without pain, assistance, therapy, or medications. Many individuals who sustain serious injuries in a motorcycle crash spend the rest of their lives on medication for pain and for other complications associated with their injuries. These medications may limit their ability to conduct life in the manner of their choosing. In addition, therapy schedules, chronic pain, and other related complications and needs may create a schedule that limits the life choices of the victim even further. For instance, if you have sustained a spinal cord injury that requires weekly treatments, you may never be able to go on vacation again, and for those with traumatic brain injuries, flying on an airplane may become uncomfortable due to the excess pressure in the cabin. What Can You Do to Get Your Life Back on Track? If you were involved in a collision you may believe that there is nothing that you can ever do to get your life back on track. After all, your pain, your injuries, your loss of income and the loss of your job, the possible loss of your home and your other belongings, and the knowledge that your life may never be the same are all overwhelming thoughts and situations to deal with, especially all at once. But the truth is that your life doesn't have to stop in its tracks simply because you have had injuries and because your life is changing. The best thing you can do after a motorcycle crash to start getting your life back on track is to call a personal injury attorney. An attorney who has a keen understanding of the law and how it impacts those who have been injured in a collision is key to ensuring that your future is a bright one, and that you get all the necessary compensation to live your life, take care of the costs of your recovery, and to pay your other bills that you are unable to pay while you are unable to work. While you may feel that you do not need an attorney and that your insurance company will help to ensure that you get what you need to recover, it is important to understand that this is not the case. The job of the insurance company is to settle the case for as little as possible, and this may leave you with less compensation that you deserve, or need, in order to pay your expenses for your recovery and to keep your home while you are unable to work. Most importantly, it is critical to remember to contact a skilled personal injury attorney as soon as possible after your accident. Every crash in the state of Arizona is governed by a statute of limitations. This means that after a certain amount of time has passed, you will be unable to file a lawsuit to help recover the costs of your accident, injuries, and recovery. The Phoenix motorcycle accident attorneys at the Breyer Law Offices, P.C. will help ensure that your case is filed within the statute of limitations so that you are able to hold the at-fault motorist responsible for their actions and for your injuries and damages. The success of your lawsuit will depend on the facts, so it is important to keep and write down as much information as possible at the beginning, when everything is fresh in your mind. Keep the names and information for witnesses on file and give them to your attorney. Also, write down your account of the accident as quickly as possible. This will ensure that the information is as accurate as possible. Other records you may want to obtain or keep include photos of the accident site and your injuries, your medical records, and notes from your doctor describing your injuries, your pain, and your suffering. Contact a Phoenix Motorcyclist Injury Lawyer at the Husband and Wife Law Team Today! Most importantly, never allow an insurance company or another party to bully you or convince you that you should not talk to an attorney. You have the right to have your case reviewed before you enter into any agreements. All agreements you make are legally binding and a skilled Phoenix personal injury attorney will work in your best interests to ensure that you receive the compensation you need to recover from the damages you suffered. For more information, call (602) 267-1280. Do You Know How to Manage a Motorcycle Accident Scene? 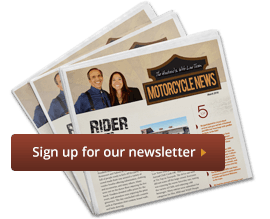 Mark and Alexis Breyer reach out to motorcycle riders by offering safety courses in collaboration with AMSAF (Arizona Motorcycle Safety & Awareness Foundation). Phoenix Motorcyclist Injury Attorney Disclaimer: The legal information presented at this site should not be construed to be formal legal advice, nor the formation of a lawyer or attorney client relationship. Any results set forth herein are based upon the facts of that particular case and do not represent a promise or guarantee. Please contact a lawyer for a consultation on your particular legal matter. This web site is not intended to solicit clients for matters outside of the state of Arizona.